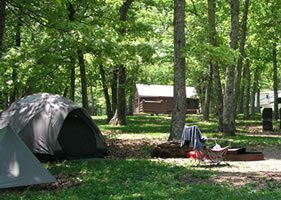 Great Smoky Mountains National Park will continue accepting comments through July 12, 2016 on a proposal to increase fees at frontcountry campgrounds and picnic pavilions along with proposed changes to the management of three campgrounds by adding them to the national reservation system through Recreation.gov. The proposal, titled "Recreational Fee Proposal Information Document," has been available for public review since May 26. The comment process has been amended to allow anonymous comments. The park held informational open houses on June 20 at the Oconaluftee Visitor Center and on June 23 at Park Headquarters where the public was invited to learn more about the proposal and submit written comments. Over 60 comments have been received to date. It is not necessary to re-submit these comments. Park officials recently learned that anonymous comments could be accepted through the National Park Service's Planning, Environmental and Public Comment (PEPC) website. In order to ensure that everyone has an opportunity to comment on the proposal, officials have extended the comment period for an additional 14 days. All comments, including those made anonymously, will be accepted. Before including your address, telephone number, electronic mail address, or other personally identifying information in your comments, you should be aware that your entire comment (including your personally identifying information) may be made publicly available at any time. While you can ask us to withhold your personally identifiable information from public review, we cannot guarantee that we will be able to do so. The suspension bridge over Red River (in the Red River Gorge) is closed to public travel until further notice. A tree fell on the bridge during a wind storm and broke one of the suspension cables from its clamps. The bridge is unsafe to cross at this time. Repairs will require technical planning but will be made as quickly as possible. The Red River suspension bridge is part of the Sheltowee Trace National Recreation Trail in central Kentucky. Hike with Friends of the Smokies on Tuesday, July 12th and take in the views on a Classic Hike of the Smokies to the Mt. Sterling fire tower in Great Smoky Mountains National Park (GSMNP). 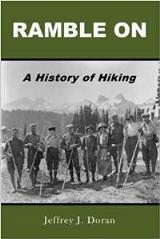 The guided hike is led by outdoor enthusiast and author Danny Bernstein. The hike to Mt. Sterling is a strenuous 5.4 mile roundtrip hike with a total elevation gain of 2,000 ft. Sitting at an elevation of 5,842 feet in the Great Smoky Mountains, Mt. 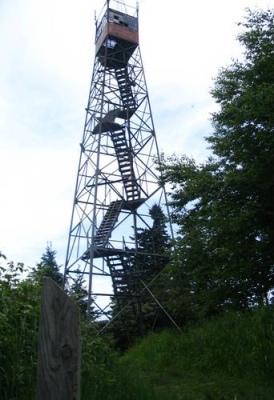 Sterling Gap and fire tower are rich in history. Hikers who are familiar with the story of local fiddler Henry Grooms and his companions, whose deaths were depicted in the movie Cold Mountain, will note that this Civil War execution occurred at the Gap where the trail begins. On the guided hike, participants will also learn how donations made to Friends of the Smokies help fund priority projects including the reduction of backcountry bear problems. Each backcountry campsite and shelter in GSMNP has a pulley and cable system which campers use to hoist their food and packs out of the reach of bears for the increased safety of both visitors and bears. 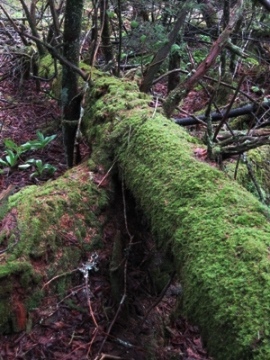 Each year a number of these systems are damaged through use or by falling trees and must be replaced. Monthly guided day hikes in this series are $20 for members. New members may join Friends of the Smokies and hike for $35. Donations benefit Friends' Smokies Trails Forever program which funds trail rehabilitation in GSMNP. Visit Hike.FriendsoftheSmokies.org to register for any Classic Hike of the Smokies. For more detailed information on the hike, please click here. U.S. Secretary of the Interior Sally Jewell and National Park Service Director Jonathan B. Jarvis recently announced the designation of six local and state National Recreation Trails, adding more than 350 miles to the National Trails System. The proclamation also includes three National Water Trails, which adds more than 600 miles to the National Water Trails System. National Recreation Trail designation recognizes existing trails and trail systems that link communities to recreational opportunities on public lands and in local parks across the nation. Each of the newly designated trails will receive a certificate of designation, a set of trail markers and a letter of congratulations from Secretary Jewell. While national scenic trails and national historic trails may only be designated by an act of Congress, national recreation trails (including national water trails) may be designated by the Secretary of the Interior or the Secretary of Agriculture in response to an application from the trail's managing agency or organization. For more information and a list of the new trails added to the system, please click here. I must confess, I have never heard of black bears hibernating in trees until seeing this video. Earlier this year the Great Smoky Mountains Association published this short video showing Great Smoky Mountains Wildlife Biologist, Ryan Williamson, climbing an old growth Buckeye tree to confirm that a female black bear, known to have 3 cubs, was denned in a hollowed out cavity inside the tree - roughly 60 feet off the ground! Tennessee State Parks, in partnership with the Department of Agriculture Division of Forestry and The Nature Conservancy, is advising the public of a new policy regarding bringing firewood into parks. Beginning this month, Tennessee State Parks will advise visitors to use certified heat-treated wood. The new policy aims to prevent or slow the introduction of exotic insects or diseases into parks that could otherwise threaten the health of our trees and forests. Visitors who want to have a campfire can bring certified heat-treated firewood into a park or use dead and down wood from an area adjacent to the fire. Manufactured fire logs will also be acceptable. Many parks, in conjunction with approved vendors, will have certified heat-treated firewood available for sale. Forests cover more than 14 million acres, or 52 percent, of Tennessee. Insects can hide or lay eggs in firewood and spread widely if introduced into a park. Heat-treated firewood eliminates this danger by killing pests during the drying process and is safe for a campfire. It lights easily, burns well and is safe to cook over. Insects and diseases hitchhiking undetected on firewood include the emerald ash borer, thousand cankers disease, hemlock woolly adelgid, gypsy moth and Asian longhorned beetle, among others. All have already killed tens of millions of trees in North America. The pests feed on trees like ash, black walnut, hemlock, oak and maple, disrupting the trees’ ability to transport water and nutrients. Infested trees soon die, which means impaired habitat for wildlife, a greater risk for wildfires, reduced timber values, and the loss of some of our state’s most beautiful places. Tennessee State Parks’ policy is similar to the Great Smoky Mountains National Park policy put into place in March 2015. All Tennessee State Parks that feature overnight accommodations will have information on-site about safe firewood. Visitors should contact specific parks to see if firewood is available to purchase on-site. If firewood is not available at a park, visitors should purchase certified heat-treated firewood before they arrive. Firewoodscout.org is an online directory for firewood vendors, including those who provide certified heart-treated firewood, and is searchable by zip code. Campers are also welcome to collect and burn dead and down wood found in a park. Visit www.protecttnforests.org to learn more about the insects and wood and see a statewide map of where to find heat-treated wood. The Cradle of Forestry in America will celebrate National Get Outdoors Day on June 11th with outdoor skills demonstrations, activities and crafts. Admission to the site and all activities are free. For details and updates on the day’s activities, call the Cradle of Forestry at 828-877-3130, go to www.cradleofforestry.com, or the events tab on the Cradle of Forestry Historic Site Facebook page. The Cradle of Forestry is located outside Brevard, NC, on Hwy. 276 in the Pisgah National Forest, six miles north of Looking Glass Falls and four miles south of the Blue Ridge Parkway. Clif Bar & Company is initiating a voluntary recall of CLIF BAR® Nuts & Seeds energy bars, CLIF BAR® Sierra Trail Mix energy bars, and CLIF® Mojo® Mountain Mix® trail mix bars, sold nationally, after its ingredient supplier, SunOpta, was found to have distributed sunflower kernels that may be contaminated with Listeria monocytogenes (L.mono). Pictures of the products listed above are available here. Celebrate American Hiking Society's National Trails Day® in Shenandoah National Park on Saturday, June 4, 2016. In partnership with Shenandoah National Park, the Potomac Appalachian Trail Club (PATC) invites new hikers and experienced backpackers to learn new trail skills at PATC Trail Patrol's "Beyond the Trailhead" event at Byrd Visitor Center (milepost 51 on Skyline Drive) from 9:15 am to 3:30 pm. Come join guided hikes and hands-on demonstrations throughout the day. The National Trails Day® event is designed to give novice hikers the information they need to leave their cars behind and venture beyond the trailhead to enjoy Shenandoah National Park's numerous hiking trails. Experienced hikers can discuss new ideas with PATC members at displays on Leave No Trace outdoor ethics and wilderness first aid techniques. Everyone can participate in a hands-on demonstration of the traditional tools used to maintain trails in wilderness, such as crosscut saws, provided by the Shenandoah National Park trail crew throughout the day. A variety of hikes guided by experienced Trail Patrol members will be offered for people of all ages and experience levels: hikes suitable for families with children as well as easy, moderate, and advanced hikes for adults. Hikers will need to meet at the registration table at Byrd Visitor Center 15 minutes before the hike time to sign in. Hikers should wear appropriate footwear and clothing for the season, and bring food and plenty of water for all hikes and a trail lunch for the advanced hikes. * Story of the Forest Trail, Easy, 1.8 miles, 10:00 a.m.
* Appalachian Trail Ramble, Easy, 2.0 miles, 10:45 a.m. and 1:30 p.m.
* Dark Hollow Falls Hike, Moderate, 2.0 miles, 9:30 a.m. and 1:30 p.m.
* Rose River-Dark Hollow Falls, Advanced, 4.0 miles, 10:00 a.m.
* Rapidan Camp National Historic Landmark, Advanced, 4.0 miles, 9:45 a.m. Pre-registration is encouraged but you may also register on June 4 at Byrd Visitor Center. To pre-register, send an email to TPNTD@patc.net. Please include your name and which hike you wish to join. 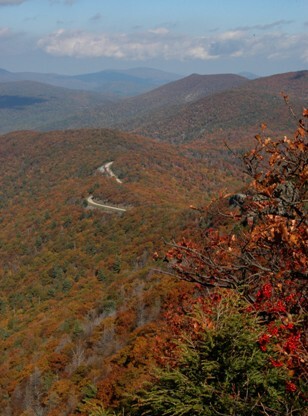 PATC and Trail Patrol are charging no fees to attend or participate in any hike, workshop, or demonstration connected with the event;however, there is a $20-per-car entrance fee to the park (good for seven days). Byrd Visitor Center lies within the park at milepost 51 on Skyline Drive. For more information about the event, visit the PATC website at www.patc.net or contact Trail Patrol at TPNTD@patc.net. For more information on the park, visit the park's website at www.nps.gov/shen. To see a list of scheduled ranger programs, please visit http://www.nps.gov/shen/planyourvisit/rangerprograms.htm. Looking for somewhere unique to hike this weekend? Why not celebrate National Trails Day on June 4th in Tennessee? All 56 state parks in Tennessee are offering hikes to recognize the importance that trails play in connecting us with each other and our environment. Norris Dam is kicking off the National Trails Day festivities with a 12:01AM hike along the brand new Chucmore Trail. This 4.5-mile loop trail is rated strenuous and is best for adults. This hike is perfect for those who start living life after midnight and who want to experience a brand new trail in the Knoxville area. Not all trails are on dry land. We have more than 60,000 miles of rivers, streams and creeks in Tennessee. “Blueways” are trails that move along these bodies of water, offering boat inlets and camping for those hikers looking for a more aquatic approach to the outdoors. The Tims Ford Blueway is one of the newer ones in the state, and is great for canoes, kayaks and paddleboards. The park is providing watercraft and a ranger to lead the hike. The limit is 20 participants, so don’t wait to register. For those who would rather run than walk a trail, Roan Mountain State Park has you covered. Join us for a tough, scenic and fun 5k trail run. Aftewards, make sure you drive to the top of the mountain and step foot onto the Appalachian Trail. It's a view and experience you won't want to miss. Registration starts at 8:30 AM (Eastern Time) and the race starts at 9 AM, with prizes for the top finishers. Pickwick Landing is offering hikers a sneak peek at a brand new trail in the park. The general public cannot even access this trail. This three-mile hike ranges from moderate to strenuous, but adults and children are all welcome. Plan to put some work into this hike, but know that the views are worth it. 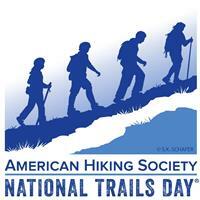 What other National Trails Day event is offering hikers the option to hike AND rappel? That’s right, this hike heads out to the Observation Tower that overlooks the new wetlands area at Henry Horton State Park. Hikers will even have the opportunity to rappel from the tower. For more information on these and other hikes being offered around the state, please click here. ISB Special Agents and US Park Rangers from the Blue Ridge Parkway are actively investigating a possible assault that occurred in the area of Craggy Gardens on Thursday afternoon, May 12th. Rangers and other emergency responders conducted a brief search for a hiker that was reportedly missing. She was found and taken to a local hospital for care. Investigators do not have reason to believe this incident was anything other than an isolated event, and no suspect information is available at this time. All visitor facilities in the area remain open. A person of interest in this case is a white male about 50 years old with salt-and-pepper hair, and he may have partially-grown facial hair. The man was possibly wearing a light-colored or faded gray short-sleeve T-shirt, baggy blue pants that appear old and faded, and dark tennis shoes. He may appear generally unkempt and smell of a musty odor of going unwashed. If you have any information about the incident, or if you may have noticed someone behaving suspiciously around Craggy Gardens or along the Mountains to Sea Trail between noon and 4:00 p.m. on May 12th, please contact the NPS Investigative Services Branch. You don't have to tell them who you are, but at least tell them what you know. You can call their Tip Line at 888-653-0009, or submit an online tip.